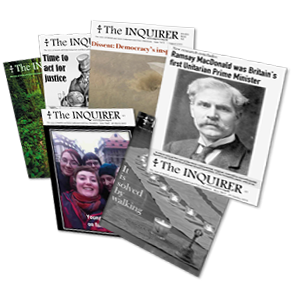 The Inquirer is the longest-lived non-conformist paper. Its first issue was published on 9 July 1842. Still published each fortnight, it is the voice of the British and Irish Unitarians and Free Christians. It contains Unitarian news predominantly within the UK, reflective words, articles on contemporary matters and letters to the editor. Hear why you should subscribe.